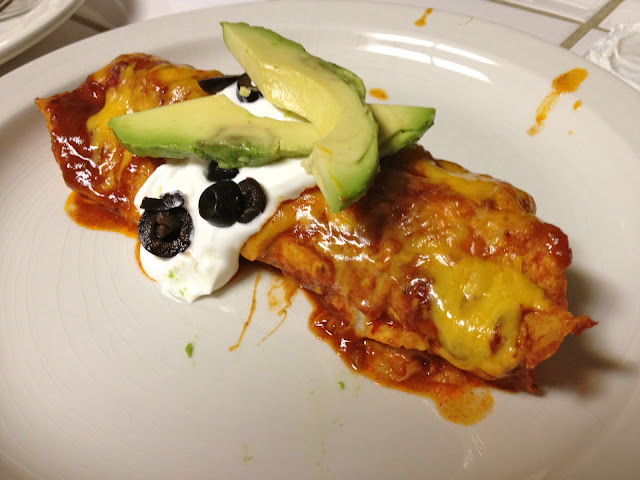 We had a bunch of canned enchilada sauce around the house, so I gathered up the ingredients to make enchiladas. 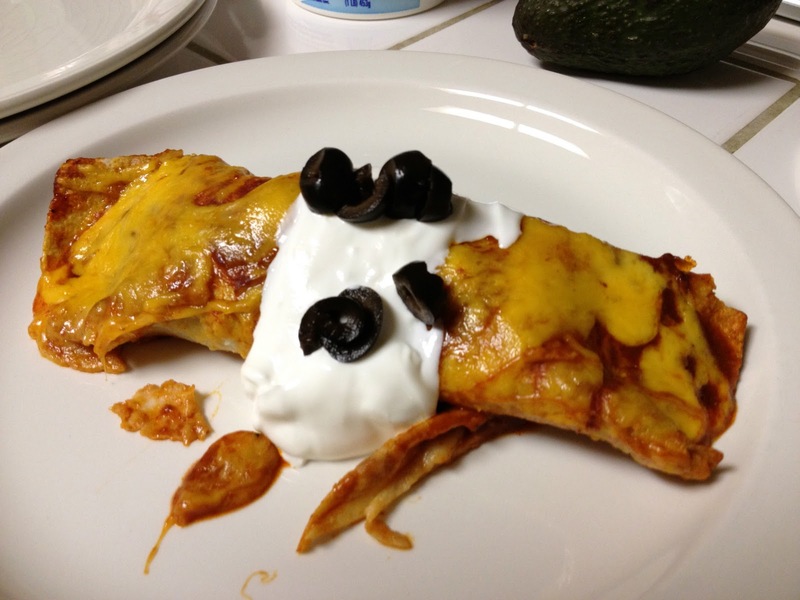 You may remember I made white chicken enchiladas previously, which I think I liked better than these. I made this recipe with ground beef, but I think the white sauce makes for a more flavorful enchilada, but these would have been better with maybe rice or something else.